As your clinical teams care for an aging population, they’re carrying out treatment plans for more complex conditions. At the same time, patients and their families are increasingly engaged in their own care. This generates additional questions for the care team as patients are more involved in shared decision-making. If clinicians aren’t consulting a standardized, trusted resource for clinical answers, they risk the potential for inconsistent care, unsatisfying patient encounters and negative outcomes. With Elsevier’s ClinicalKey, you’ll ensure that your care teams have access to evidence-based information, so they can answer complex questions related to their patients’ conditions. And with your nurses using the same trusted answers, you will help create a more consistent patient experience based on the most current standards of care. Improve patient care with trusted resources – As the complexity of patient conditions increases, a lack of evidence-based information to guide how treatment is carried out can lead to suboptimal care and unwanted complications. 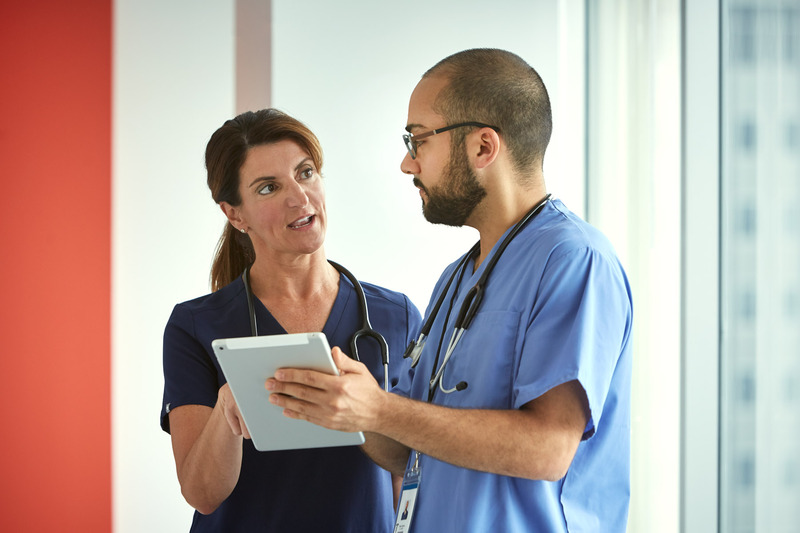 ClinicalKey connects your nurses and allied health professionals with trusted answers and gives them in-depth access to current evidence whenever and wherever needed. Drive care consistency among all levels of nurses and allied health professionals – Building a foundation for clinical knowledge is difficult when your clinical team is relying on unvetted, outdated, or insufficient sources. With ClinicalKey, clinicians have access to one trusted solution that offers content that is updated continuously, backed by the latest evidence, and derived from core foundational textbooks, procedural videos, and cutting-edge research findings. *For users in the United States. Elsevier is accredited with distinction as a provider of continuing nursing education by the American Nurses Credentialing Center's Commission on Accreditation. Elsevier is provider approved by the Florida Board of Nursing. The Florida provider number is #50-4681. Elsevier is provider approved by the California Board of Registered Nursing. The California provider number is #CEP 3257. Key content includes drug monographs, clinical topic summaries, videos, images and more. Visit us at ANPD19, Booth #201, and discover how Elsevier is driving the delivery of high quality, economically sound care through world-class clinical content that is integrated within clinical workflows and EHR systems.